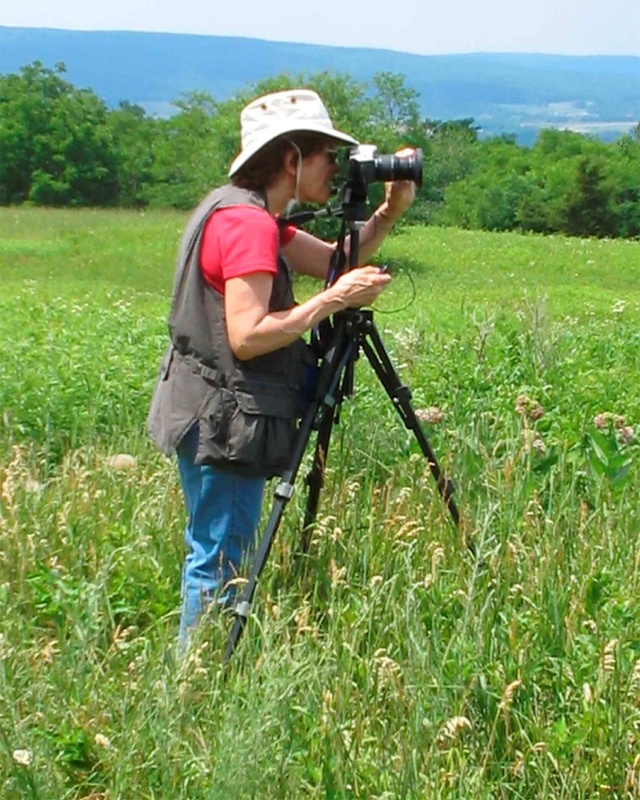 Bob & Cathy Baldwin are well known in the Art arena for their nature photography of New York State. Cathy is the photographer, Bob is the framer. For the last dozen years they have traveled all over New York State taking shots of the familiar and the not so familiar. They have photos from Letchworth State Park, the Adirondacks, the Catskills, many of the Finger Lakes, Watkins Glen State Park, Montezuma Wildlife Refuge, Taughannock Falls, Keuka Lake, NY City, the Buffalo Zoo, Chimney Bluffs, Sodus Point, Stoney Brook, and many others. Even with all this diversity, there is still so much of New York for them to capture. The effort goes on. Cathy is mostly self-taught, other than a few short courses on Photography. She may have inherited her artistic eye for photography from her dad. He was an avid photographer and worked at Kodak for years. It wasn’t until 1999 that Cathy decided to try to offer her photographs for sale. The Fairville Presbyterian Church was having a festival and in need of vendors. Cathy and Bob bought some mats and frames, to properly display her work, and a new career began. Soon Cathy was cutting her own mats and Bob was cutting the glass and cutting and joining the frames. Cathy uses Canon cameras, a 35mm “Rebel 2000” and it’s digital counterpart the “Digital Rebel XTI. She started using digital in 2008. Not satisfied with the quality or consistency of print processing, Bob bought the equipment to control the process themselves – a Microtek film scanner and an Epson printer that uses archival inks. This way whether it was a film or a digital image he can ensure that the print looks like what Cathy saw when she took the shot. All printing is with Epson archival inks. All mats and backing boards are acid free. As Hymn & Her NY State Nature Photography, Cathy & Bob have taken part in many Art Shows and festivals in the Western New York area, such as: Lilac Festival, Park Avenue, Spencerport Canal Days, the Clothesline Art festival, Cornhill, Rochester Museum Holiday Show, Fairport Canal Days,the Brockport Festival, the Allentown Arts Festival in Buffalo and the Letchworth Art Show.